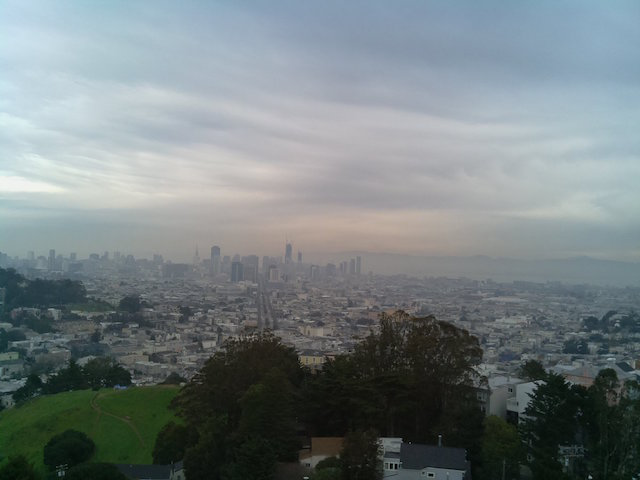 Check out the view from Twin Peaks with @TwinPeaksBot #piday #raspberrypi @Raspberry_Pi « Adafruit Industries – Makers, hackers, artists, designers and engineers! 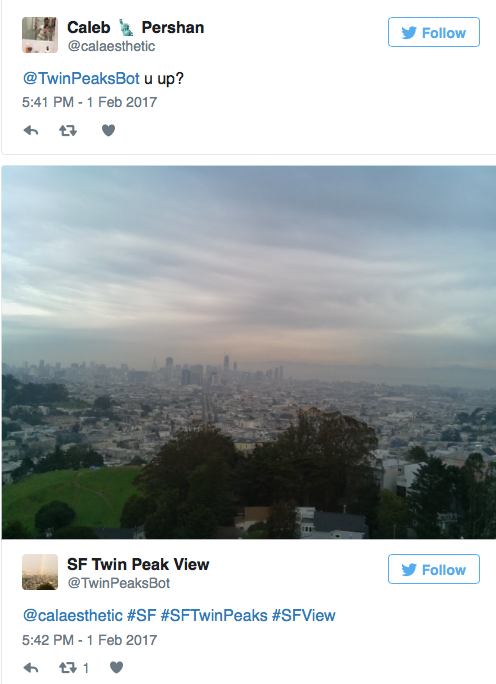 …The source behind the account is anonymous save for a link to an Instagram page, but the person explained on Reddit that the images for Twin Peaks Bot come from a camera set up with raspberry pi, a credit-card sized, easily programed computer. That camera is actually set up in the creator’s old apartment, where former roommates still live. Don’t worry, they know it’s there.